In this post I present the development model that I’ve introduced for some of my projects (both at work and private) about a year ago, and which has turned out to be very successful. I’ve been meaning to write about it for a while now, but I’ve never really found the time to do so thoroughly, until now. 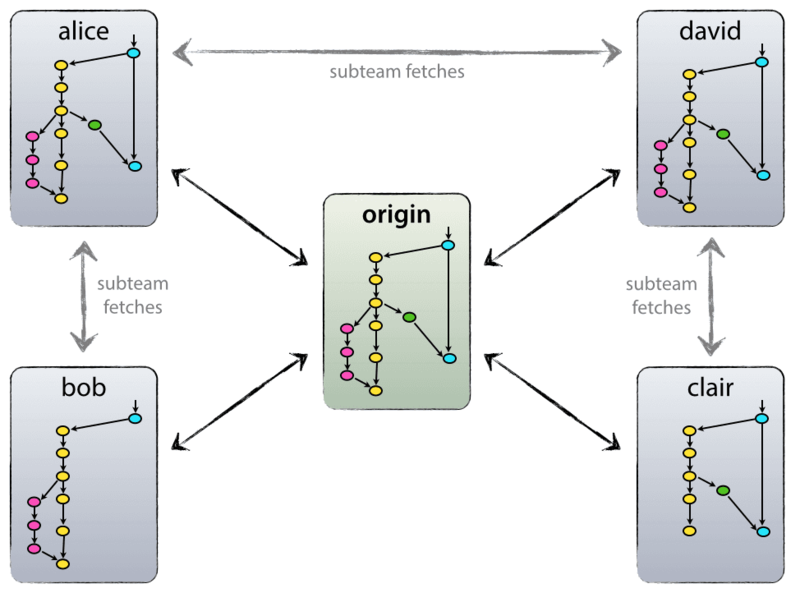 I won’t talk about any of the projects’ details, merely about the branching strategy and release management. 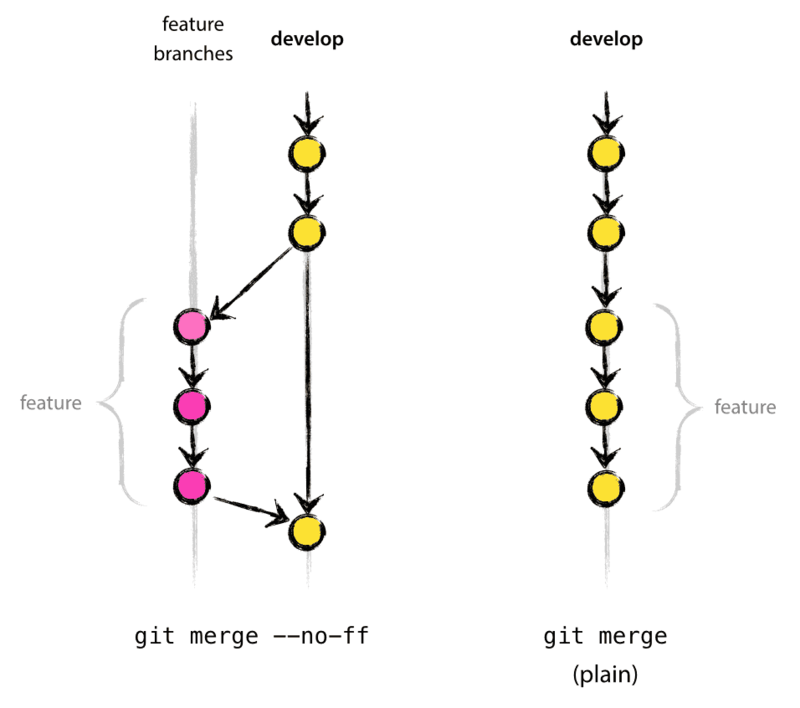 In the latter case, it is impossible to see from the Git history which of the commit objects together have implemented a feature—you would have to manually read all the log messages. Reverting a whole feature (i.e. 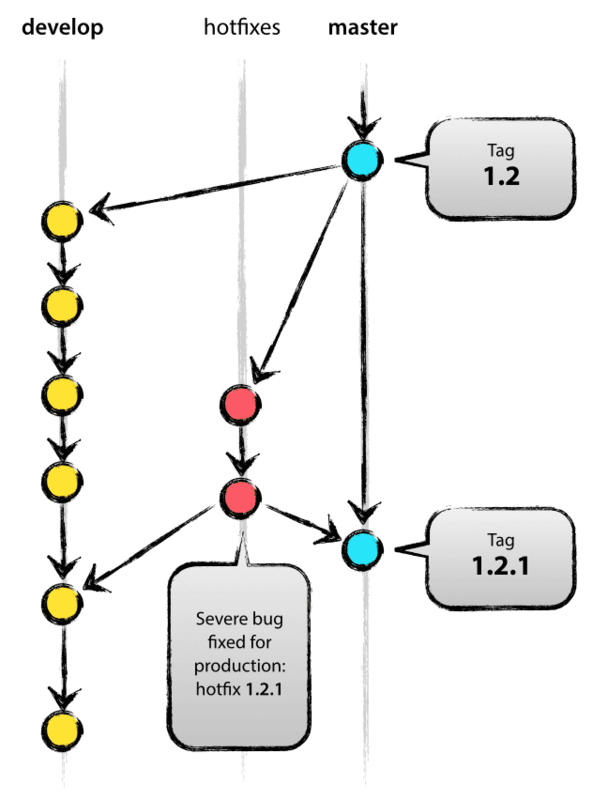 a group of commits), is a true headache in the latter situation, whereas it is easily done if the--no-ff flag was used. Yes, it will create a few more (empty) commit objects, but the gain is much bigger than the cost. The key moment to branch off a new release branch from develop is when develop (almost) reflects the desired state of the new release. At least all features that are targeted for the release-to-be-built must be merged in to develop at this point in time. 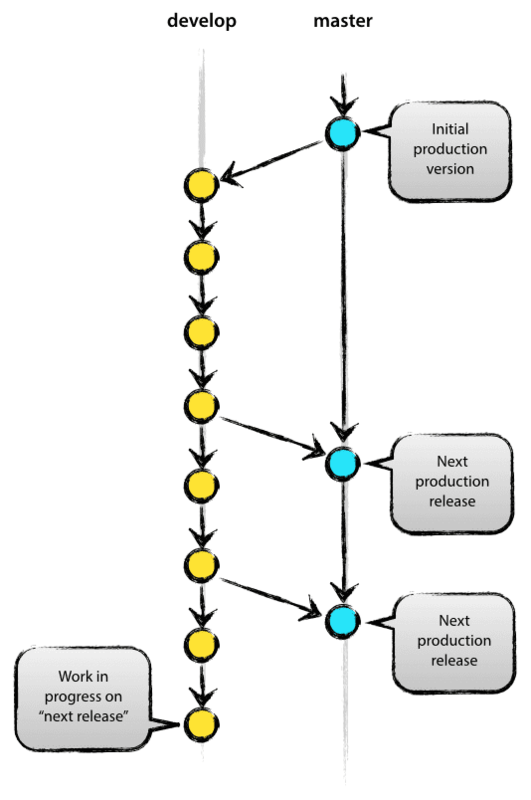 All features targeted at future releases may not—they must wait until after the release branch is branched off. It is exactly at the start of a release branch that the upcoming release gets assigned a version number—not any earlier. 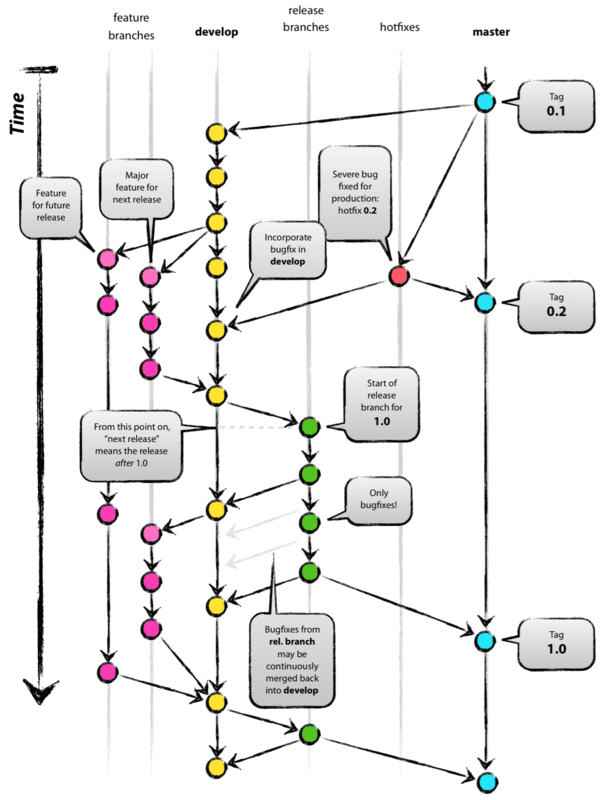 Up until that moment, the develop branch reflected changes for the “next release”, but it is unclear whether that “next release” will eventually become 0.3 or 1.0, until the release branch is started. That decision is made on the start of the release branch and is carried out by the project’s rules on version number bumping. After creating a new branch and switching to it, we bump the version number. Here, bump-version.sh is a fictional shell script that changes some files in the working copy to reflect the new version. (This can of course be a manual change—the point being that some files change.) Then, the bumped version number is committed. Edit: You might as well want to use the -s or -u <key> flags to sign your tag cryptographically.